Celebrate your Dogs (or the Loving Humans) Birthday with a Special Happy Birthday Box from WINEDOG! This Festive Box is filled with Birthday Fun for you and your dog to enjoy together! 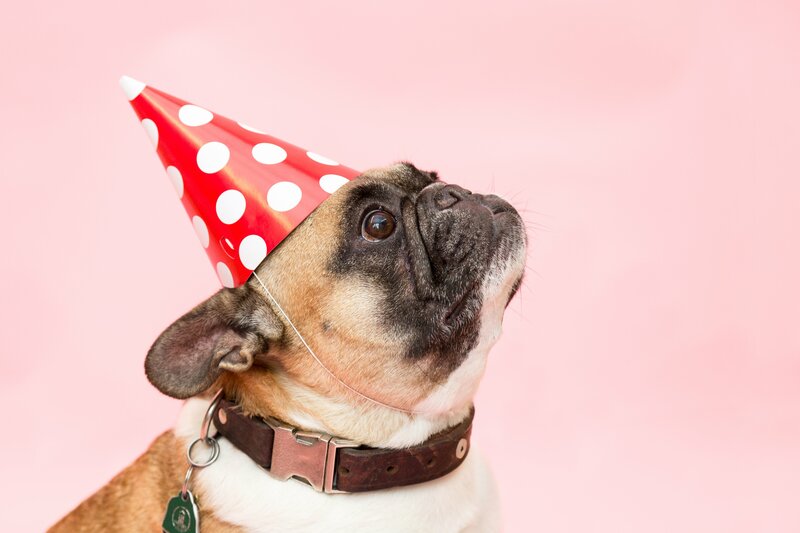 The Happy Birthday Box includes FOR YOUR DOG: A Bottle of Canine Pawrier Dog Champagne, a Singing Birthday Cake Dog Toy and Birthday Celebration Treats! FOR THE LOVING HUMAN: A Stemless Happy Birthday Wine Glass, Wine Bottle Decoration Sock (Needed for Birthdays), A Happy Birthday Bottle Stopper, Happy Birthday Coasters, Balloon Wine Charms and a Happy Birthday Wine Bottle Corkscrew Opener! WOOF!